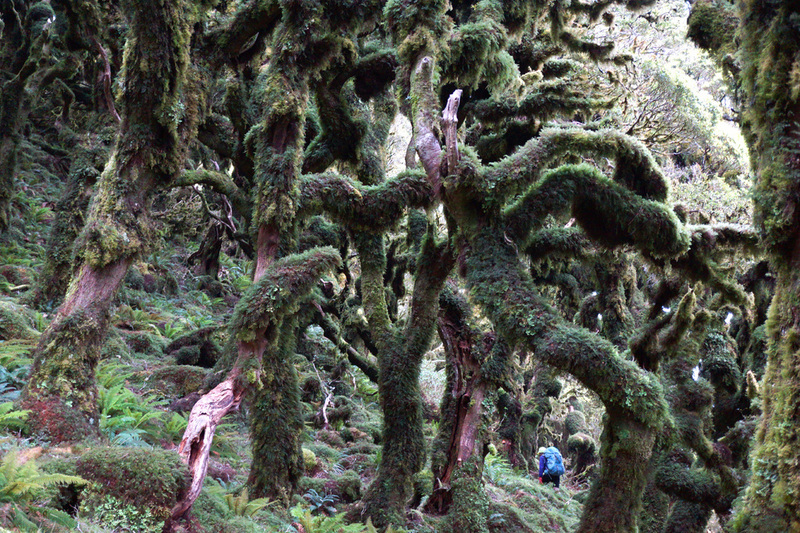 Walking the southern leg of Te Araroa has proved a life-changing experience for FMC Exec member Anthony Behrens and his partner Fiona Burleigh. About 10 years ago my partner Fiona and I got into tramping. We'd done it as teenagers but as parents we didn't have the resources or energy to continue something we’d both loved. Dragging our kids up mountains wasn't something we hankered after either...much to their relief no doubt. We would have been content being middle-aged trampers, but a series of coincidences literally changed our path(s). 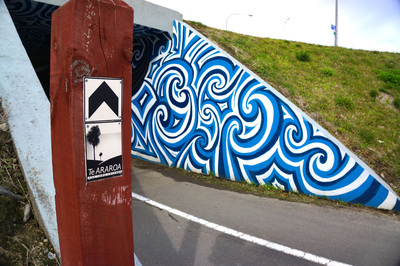 Bill Bryson’s Appalachian trail story, A Walk in the Woods, played on National radio, we stumbled on a book about The Camino de Santiago and New Zealand's own pilgrimage, Te Araroa, decided to snake its way through our town. Our curiosity was piqued. We were about to become hikers. On a beautiful day in late 2011 Fiona and I drove to Feilding and walked back to Palmerston North along Te Araroa’s possibly virginal route. It was awful. The traffic was unforgiving, the walking was mostly on rough grass verge. 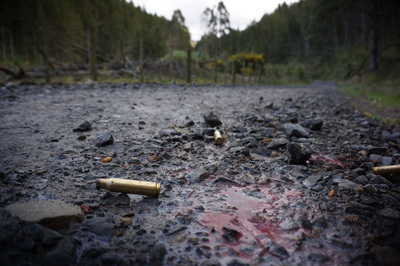 The litter, pollution and liberal use of weed killer made for unpleasant scenery. But we were hooked. As we stumbled along and the cars hurtled by we discovered our scale in a world shrunken by machines. We felt human and connected with the planet in a way that driving, cycling and living in suburbia all mask. As painful as the walk was, it was the first time we'd ever experienced what distance must have meant to our ancestors. Without getting too cosmic...it was an awakening. At the end of 2012 we met our first trail walkers. Franzi, Jonah and Melanie were doing a side trip around Mount Ruapehu when we coincided at Rangipo Hut. A few weeks later they came and stayed at our house beside the trail in Palmy. They and their journey fascinated and inspired us. We had originally thought we would “do” the Camino, but their visit made us realise what we had right here. Why fly across the world when we had this at our front door? 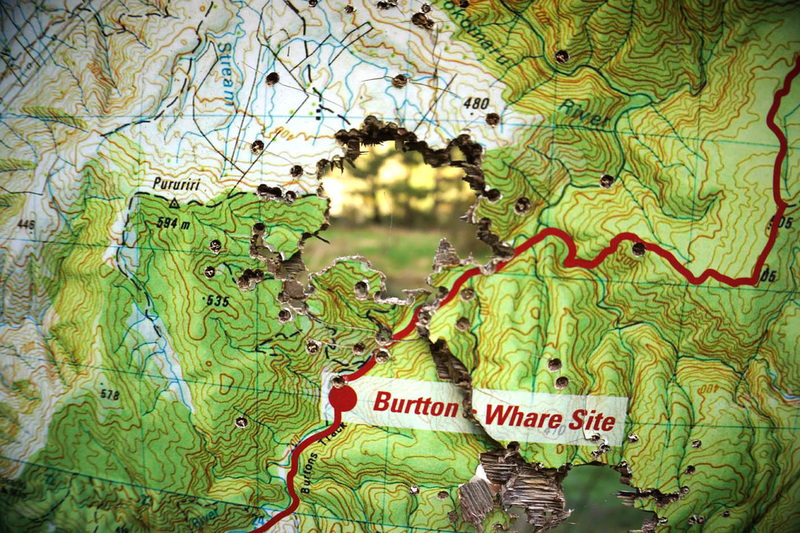 It takes about six months to walk the length of New Zealand in one hit but the great thing about being locals is that you can pick off bits of trail as your schedule allows. People who do this are called Section Walkers. It’s been estimated that there are two thousand dedicated Section Walkers doing The Trail at any one time. This is how we originally planned to walk T.A.. After our Fielding to Palmy section we slowly pieced together 95% of The Trail to Wellington. It quickly became an obsession that meant a bigger trek was inevitable. Once we'd taken 10 days of food into the Tararuas as a test run for the Richmond Range we knew we could walk the South Island leg in one go and a date was set. Apparently it was my idea. Which was good, because if I hadn't suggested it, my involvement in our preparation would have been negligible. This may seem unfair and a bit lazy of me, but we make the perfect team. Fiona organises the whole kit and caboodle and I oblige by turning up and going “Wow!”. 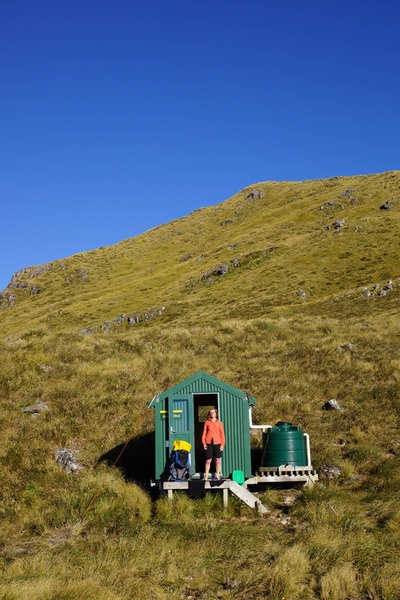 We chose to walk the South Island from Bluff to Ship Cove so Fiona had to write the official Te Araroa trail notes backwards (they used to only refer to a Southbound (Sobo) route. 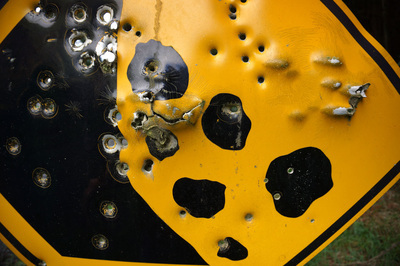 We're not ultralight hikers, but we're not stupid either. This meant Fiona got to go shopping with a set of digital scales - weighing everything from cookers to undies. We still carry some weighty creature comforts and wear heavy tramping boots but our kit is pretty light now and every gram saved is testament to Fiona’s numbercrunching. Unlike most T.A. walkers we chose to walk Northbound (Nobo) from Bluff...probably our best decision. It meant we met many of the season’s often exotic walkers as they came the other way - our days were seldom lonely and were often full of chatter and what we called Trail Gossip. We’d find out who was coming our way and learn about the adventures of our Nobo mates. At a probably incorrect guess, about 250 through-walked the South Island that year. 25 Nobo. The small Nobo group we walked “with” became quite tight and we’ve formed friendships that will last for life. The social side of the trail was our biggest surprise. Walkers have an instant bond and trackside meetings could easily last an hour. 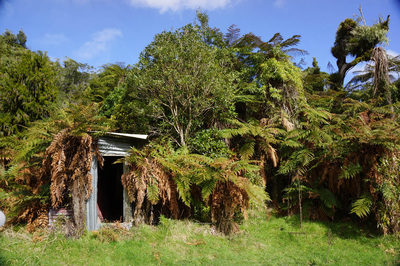 Groups of walkers in huts can be quite exclusive, which often comes across as rude to trampers and hunters, but the camaraderie of what is an extreme physical and emotional shared experience makes this a frequent occurrence. 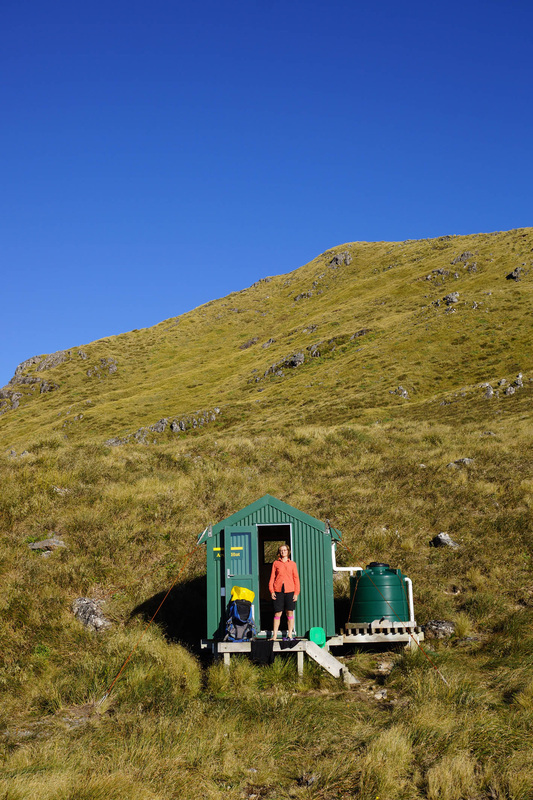 The 70 days walking to Ship Cove changed our perception of time and distance completely. We occasionally used cars and bikes while on the trail - they seemed like time machines, transporting us miraculously across the world in the blink of an eye. The world now seems strangely smaller and bigger at the same time. Alfred Hitchcock has an effect in his movies called the Dolly Effect. His camera zooms into an object while the dolly holding the camera moves in the opposite direction. It’s unnerving because the scene is warped but still looks the same. Our perceptions have been warped similarly...everything seems the same, but feels different. A walk into town is no longer a drag...it feels like freedom. Not everyone who trail walks has such a life-changing experience, but many do. Perhaps that’s why pilgrimage is so closely associated with religion, but perhaps we’re just addicted to trail walking because of the huge amounts of endorphins our bodies produced every day. Perhaps we’ve just found our inner masochism. 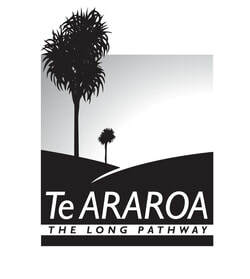 Te Araroa is a long thin red line on a map of New Zealand. It’s an imperfect line in places, and it will change its route over the years. In the slow and often solitary world of walking, it’s becoming a bit of a highway. Hopefully you’ve read this and now understand why. 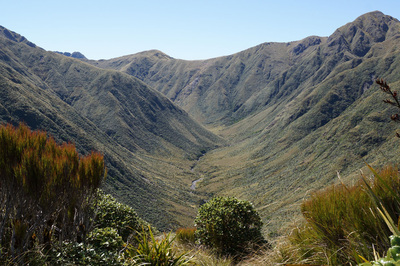 Hike is a word that’s often criticised by New Zealand trampers as being too American, yet it’s a word that seems to have originated in England and its use implies a cross-country journey. Arguably the word Tramp is related to a stomping style of walking...the kind of walking you do when you walk up a hill or mountain. People don’t really tramp down roads. We sometimes describe what we do as Trekking - another American sounding word, it derives from South African (via Dutch and German) and implies a long journey that often features hardship. We reckon Tramping is a sub-category of Hiking or Trekking. 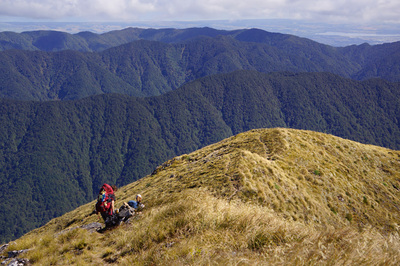 Hikers often find themselves tramping over mountains.  You may disagree, but we’re happy hiking across Aotearoa and tramping over her Maunga. 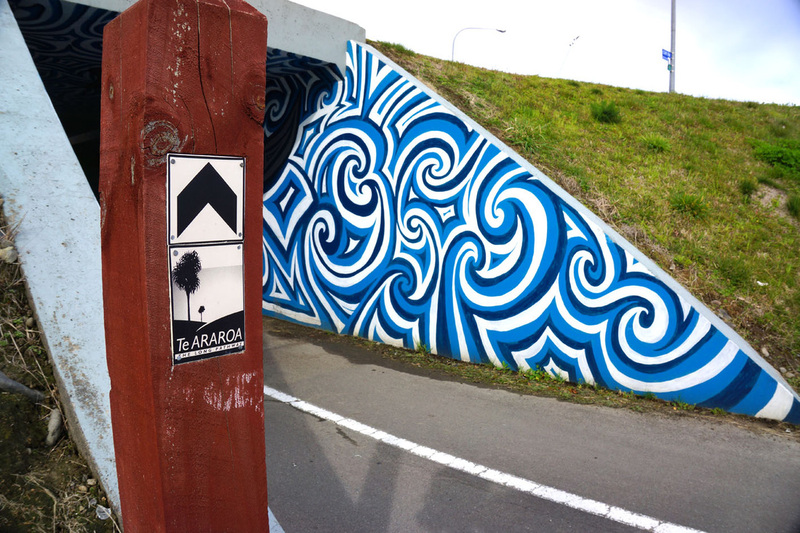 My report of our first Te Araroa walk...we thought it was awful, but loved it. Go figure!